Below you will find a list of the best 35 four-year nursing schools from around the country. The list has been curated to help you more effectively make decisions about your academic future and serve as a valuable college resource guide. Many nursing schools on our 2018 list are part of a larger university with dedicated resources to advance the field of nursing through quality programs and top-tier curricular design. In addition to the top ranked nursing schools, we have also included resources below to help you continue your research in the field of healthcare. Do you know the different between a Registered Nurse and a Licensed Practical Nurse or a Nurse Anesthetist and a Critical Care Nurse? If not, rest assured we have created tools for you to understand the different career paths within nursing and compare degree programs from top accredited colleges from around the country. Simply link to nursing degree paths above or utilize our proprietary search portal to further research the field of nursing. Additionally, we have created a few career guides to help you better understand career pathways in the nursing vocation found at Complete Career Guide in Nursing and Nursing Careers for Men. 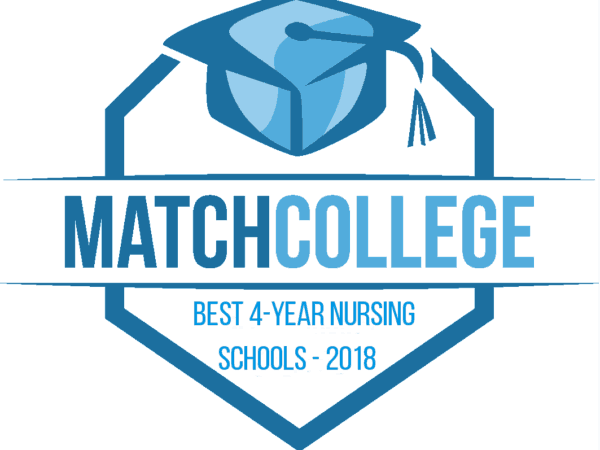 The MatchCollege career guides help students understand the various types of nursing degrees and help to demystify the difference between an LPN to BSN degree and a RN to DNP. Next, we cover a few dozen nursing specialties along with their associated job descriptions and common career tracks. Then we break down the various types of nursing schools from trade schools through four-year universities and everything in between. We then cover a series of frequently asked questions about the nursing trade followed by key insights into various types of financial aid. How Do I Decide Which Nursing Program is Best for Me? With all the options at your fingertips, it is easy to get overwhelmed. Given the feedback from so many nursing students over the past few years, we decided to create a college admissions guide to help you best navigate the process. The comprehensive guide will take you through a key exercise to ensure you spend time organizing your thoughts and establishing your personal priorities. With these priorities in place, you will be more effective at determining which degree type, degree level, and college to attend. As you research different options for your future, you can swiftly gather enrollment information from virtually any accredited college or university with MatchCollege with a few clicks. Our goal is to make the process as simple as possible while provide over-the-top value to students and parents during their decision-making process for college. What are the Best Ways to Finance a Nursing Education? While there is no singular answer for everyone, we have spent time gathering resources to help you understand how most other students manage finances for school. The survey summary located here, will help you visualize emerging trends you need to understand. The six primary sources students utilize to fund college include: scholarships & grants, parent income, relatives & friends, student loans, student income, and parent borrowing. To help keep things in perspective, the current financial aid package from private colleges averages 49% off published tuition rates. This may help you make a stretch school a reality knowing the facts before applying to colleges on your short list. The keys to your success will include: staying organized, communicating effectively, asking great questions, establishing your priorities, remaining focused, and understanding the future impact of your work in healthcare to keep you motivated through the process.